The largest city in Scotland the once the second city of the United Kingdom empire, Glasgow is a city with such a rich history that it can never be summarised in such a short space. 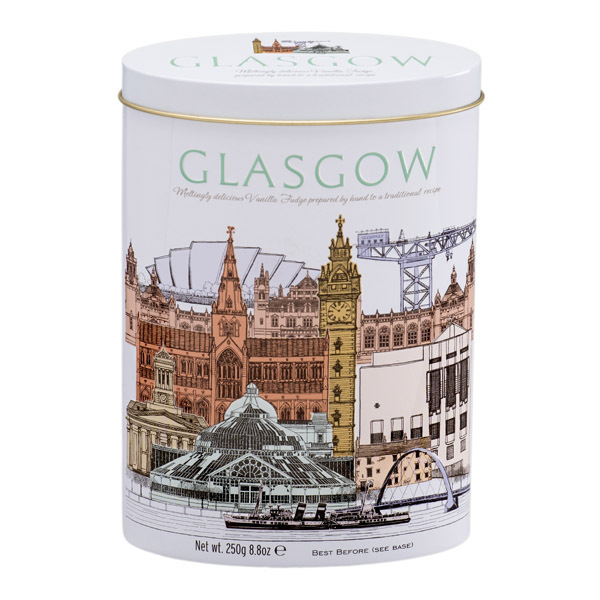 This beautiful decorative tin proudly illustrates some of Glasgow’s finest landmarks from Botanic Gardens to the Trongate, the Clyde Crane, Waverley Steam Boat and so much more. 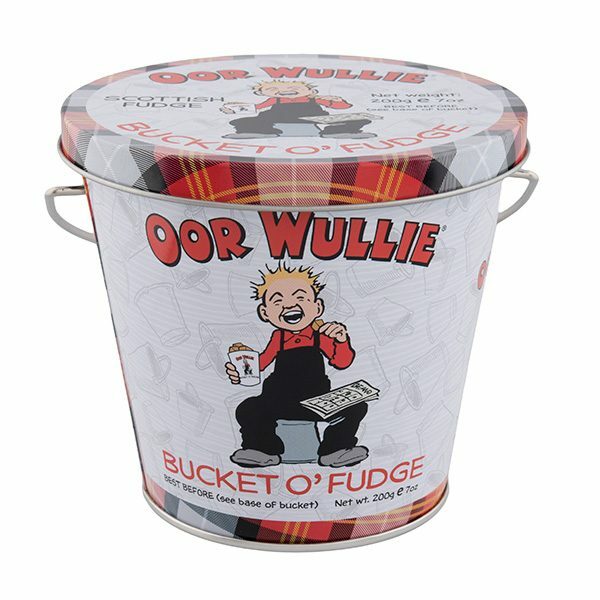 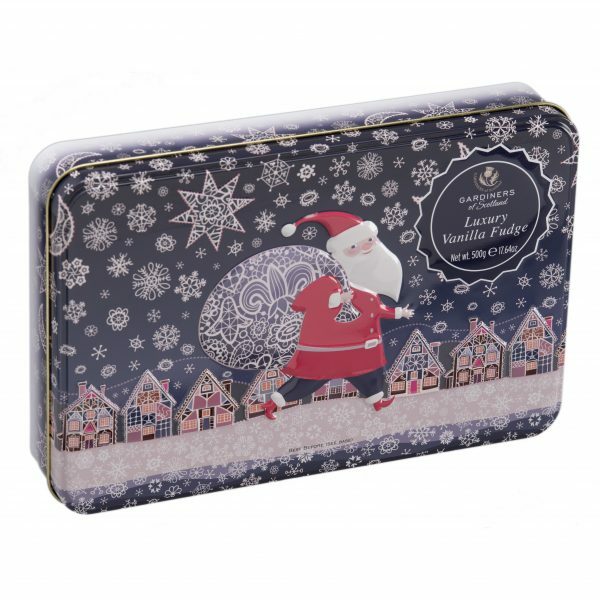 Whether you are a local resident or a tourist who has fallen in love with Glasgow and its culture, this decorative tin is the perfect something to take home and is made complete with our meltingly delicious vanilla fudge. 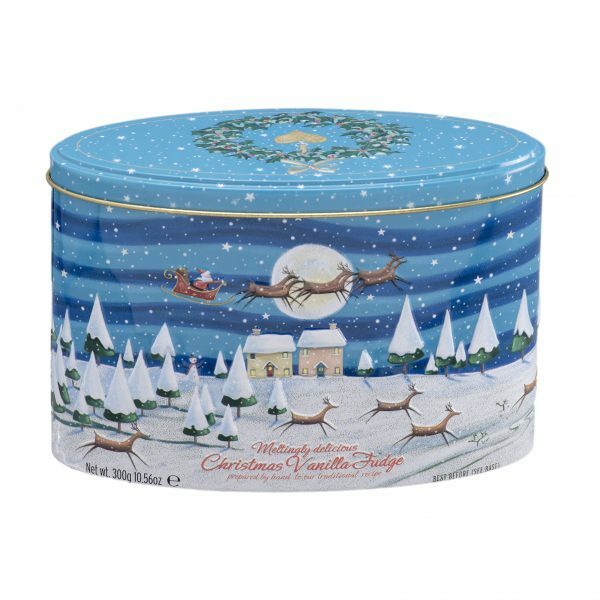 Made by hand to a traditional recipe in our factory just a stones throw away from Glasgow, it is the perfect gift or present to take back with you.